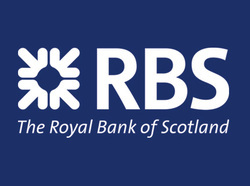 Royal Bank of Scotland took over NatWest in 2000. The group also owns Charter One and Citizens Financial in the US and sells insurance through its Direct Line and Churchill arms. It was one of the major casualties of the financial crisis and is now majority owned by the U.K taxpayer. RBS reports an attributable loss of £3.5 billion, following a £4.0 billion write-down on Citizens.